resistance, while not being too hard, which can cause them to be brittle and prone to chipping. They will provide a lifetime of use without need for replacement. 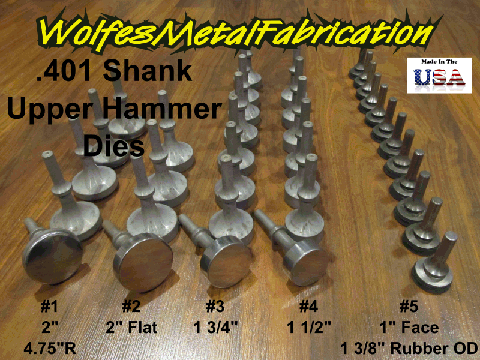 Back Row: Flat, 6", 4"
Front Row: 2", 1", 3/4"
Made to fit standard .401" shank air hammer motors. #1-#4 and #13 allow standard spring retention. 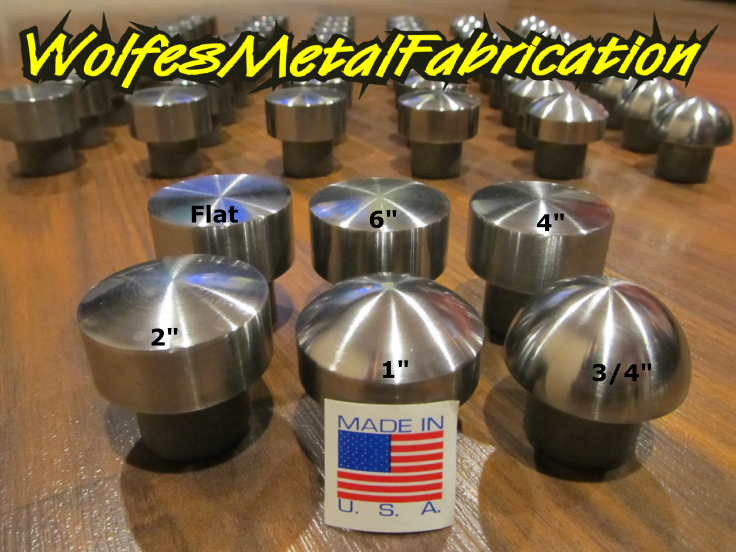 Manufactured Totally in Nebraska, !Made in USA! 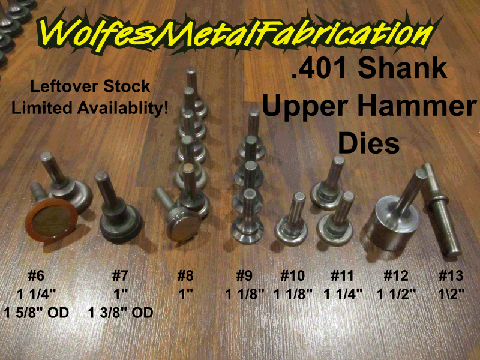 If you would like a different radius, or different shank size, contact us for a quote.